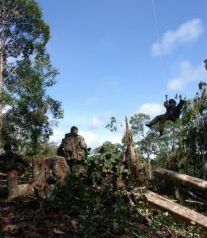 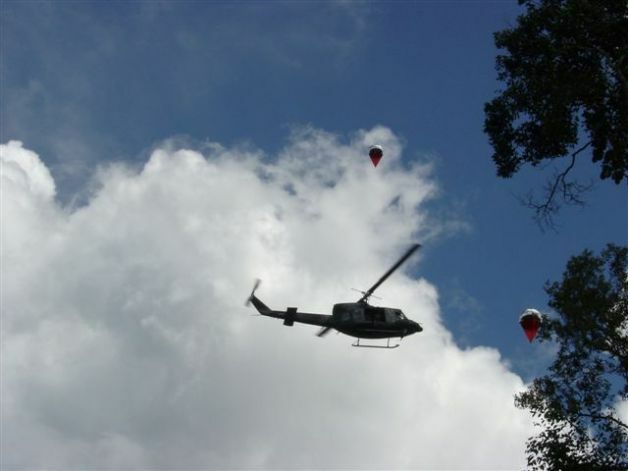 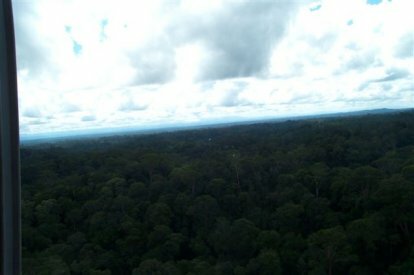 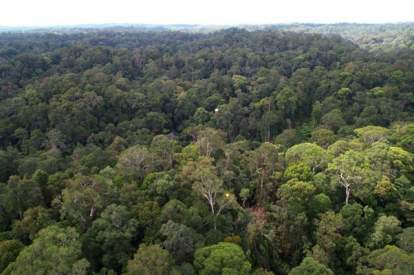 Helikites can move up through the branches of jungles and woods and fly in the strong winds above the canopy to mark the position of people to aid exact location from aircraft. 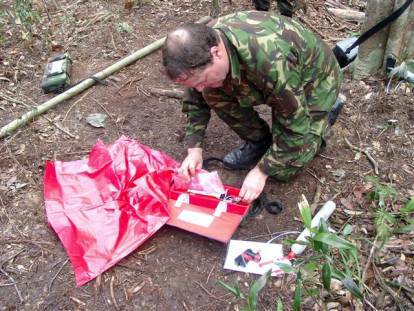 A special high specification version of the Lightweight Helikite is in a tough, waterproof, bouyant 2kg package with its own helium supply called the "Jungle Marker Helikite". 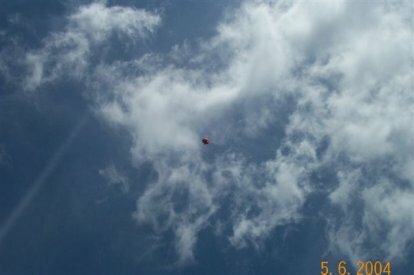 The balloon has a flourescent orange upper surface for high daylight visibility and can carry a strobe light or light-stick for night use. 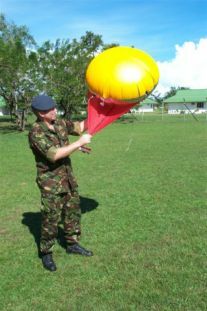 A marine version of this product is also available as the "Sea-Rescue Helikite" which features extra strong flying line and a very long metallic tail to provide a large radar signiature at 200ft altitude. 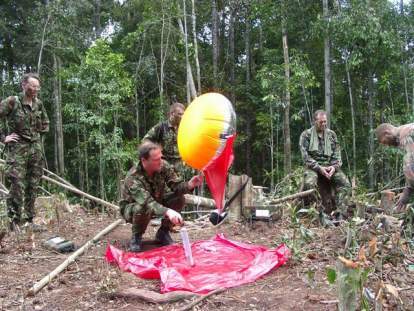 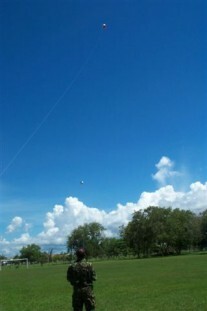 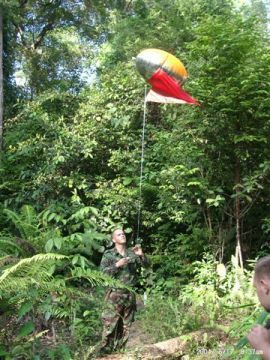 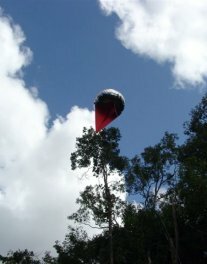 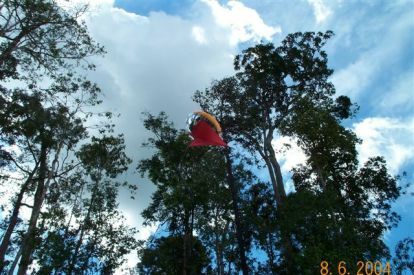 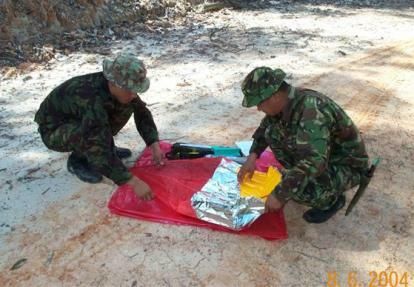 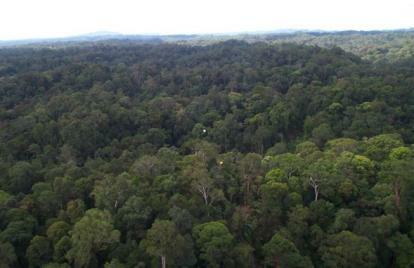 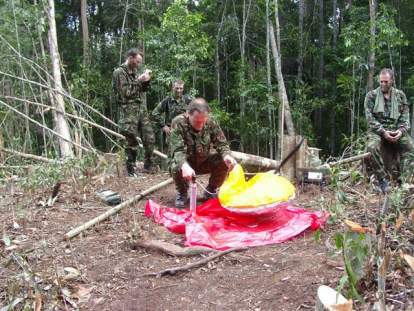 The Jungle marker Balloon was found to be very reliable and an extremely effective position marker. 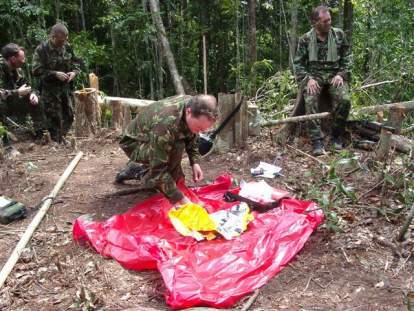 Described by one officer as "light-years ahead of the competition". 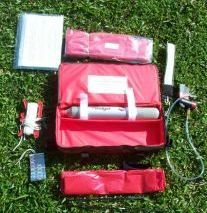 Helikite; full helium bottle; line; handle; regulator valve; waterproof tarpaulin/bag; strobe light; instructions. 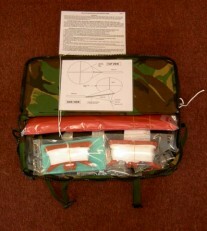 All in shock and waterproof packaging.